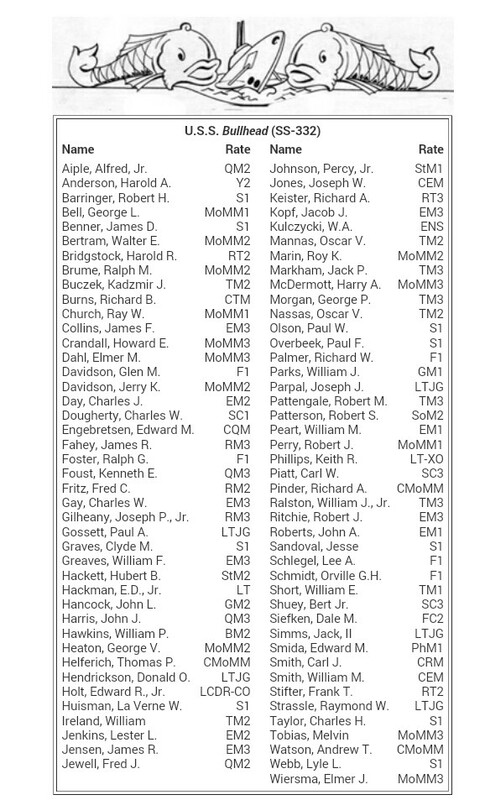 EM3 Robert Joseph Ritchie is just a name on a list…? Departing Fremantle for her third war patrol, Bullhead (Lieutenant Commander E.R. Holt, Jr.) on 31 July 1945, started for her area (from 110°-00’E to 115°-30’E, in the Java Sea). She was to leave her patrol area at dark on 5 September and head for Subic Bay, Philippine Islands. Capitaine and Puffer were also to patrol in the Java Sea area, as were the British submarines Taciturn and Thorough.